An early iteration of Clarence Catallo's 1932 Ford Coupe as it appeared in 1959. 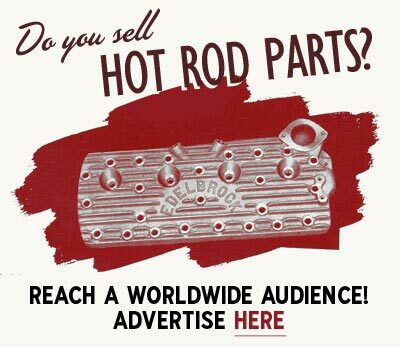 One of Robert's first and most vivid hot rod memories was seeing Chili Catallo's 1932 Ford coupe parked in a gas station just around the corner from his house in Allen Park; "I was about ten years old at this time. When I first saw it, it was dark blue, channeled, tri-power olds engine, black painted wheels and white walls. I used to hang out at that station a lot hoping to meet the owner and get a ride, going against my parents advice of never accepting a ride from a stranger. The next year the car had been scalloped and sported Moon hubcaps. The following year it was in Autorama. When I photographed the car several years ago, as were getting ready to go to the location to photograph the car Curt, Clarence's son, asked me if I wanted to ride with him in the coupe. My response was, "I've been waiting 40 years to hear that question!"" Photo courtesy of Robert Genat. A blown early incarnation of Clarence Catallo's 1932 Ford 3-Window Coupe running chromed and reversed wheels. Photo courtesy of Robert Genat. Robert Genat was born in 1945. Raised in Detroit and its southern suburbs, he is a prolific author and photographer with over 40 books and 200 magazine articles to his credit. In 2003, he was awarded the prestigious Dean Batchelor Award by the Motor Press Guild for his book, The Birth of Hot Rodding. Robert's father was a Henry Ford Trade School graduate. One of Robert's dad's projects while there was building a cut-away of the first V-8. During WWII he built B-24s at Willow Run. After that, he went to Borg & Beck where he was a tool & die maker and built dies for clutches. Robert worked at Ford Motor Company form 1968-1982 as a body designer. In 2018 Robert told Sondre Kvipt of Kustomrama that everyone in Detroit seemed to be interested in cars. "My brother's first car was a 1958 Chevrolet Impala with tri-power, followed by a 1963 Chevrolet 409 Impala. We lived a few miles from Detroit Dragway and went there often. I attended the 1960 NHRA Nationals. Going to drive-ins and street racing was a summer event. So cars were part of my life from the start. My first car was a black 1957 Chevrolet Bel Air with a 1962 Chevrolet 283 engine, followed by a 1962 Chevrolet bubble top with a small block and three-speed, then a 1962 Pontiac Catalina tri-power and a 1968 Chevrolet Corvette. After a long hiatus, I got back into cars in the late 1980s. It started with a 1962 Chevrolet Bel Air 409 sedan, a 1932 Ford five-window and a 1962 Pontiac Catalina convertible. Along the way, there was a 1965 Oldsmobile Cutlass daily driver. 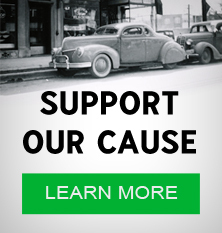 I'm out of old cars now, but drive a Focus ST."
One of Robert's first and most vivid hot rod memories was seeing Chili Catallo's 1932 Ford coupe parked in a gas station just around the corner from his house in Allen Park; "I was about ten years old at this time. When I first saw it, it was dark blue, channeled, tri-power olds engine, black painted wheels and white walls. I used to hang out at that station a lot hoping to meet the owner and get a ride, going against my parents advice of never accepting a ride from a stranger. The next year the car had been scalloped and sported Moon hubcaps. The following year it was in Autorama. When I photographed the car several years ago, as were getting ready to go to the location to photograph the car Curt, Clarence's son, asked me if I wanted to ride with him in the coupe. My response was, "I've been waiting 40 years to hear that question!"" "I was kind of lucky to get into doing books when I did," Robert told Sondre. "I had been working for Nissan Performance as their Unix admin and did some design work too. When they quit racing, they shut the entire facility. A friend of mine who has done a lot of military photo books asked me if I wanted to do a book on the Navy SEALs. I had a pretty good stock file of the SEALs and said yes. Then a book on police cars and the book contracts came rolling in. The early 1990s was a great time to do books. There were three major retailers who were trying to fill a need for those who wanted good car books. So 40 books later here I sit. The online sales killed the market. 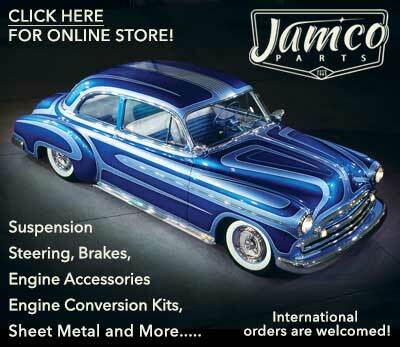 My three favorite books: The Birth of Hot Rodding, The American Car Dealership and Fuelies." Over the years Robert has collected an impressive collection of old hot rod and custom car photos that he has shared with Kustomrama. Some of the photos in Robert's collection were taken by his brother Jim between 1960 - 1964, and in 2014 Robert told Kustomrama that it was kind of a hobby for him at the time, "but he had a good 2 1/4 camera, and he saved the negs!" 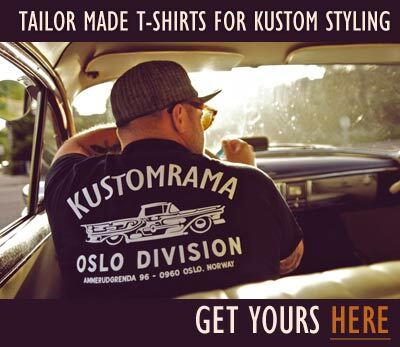 Subscribe to our newsletter and receive updates on The Robert Genat Photo Collection and other subjects featured on Kustomrama. If you have additional information, photos, feedback or corrections about The Robert Genat Photo Collection, please get in touch with Kustomrama at: mail@kustomrama.com.